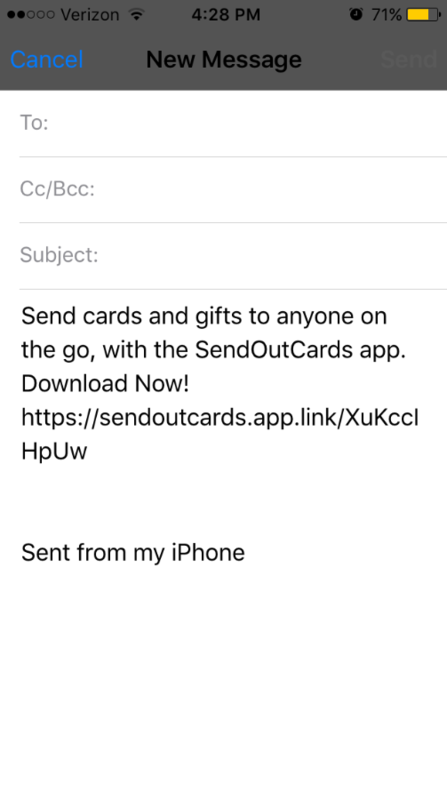 How Do I Share the SendOutCards iOS App? 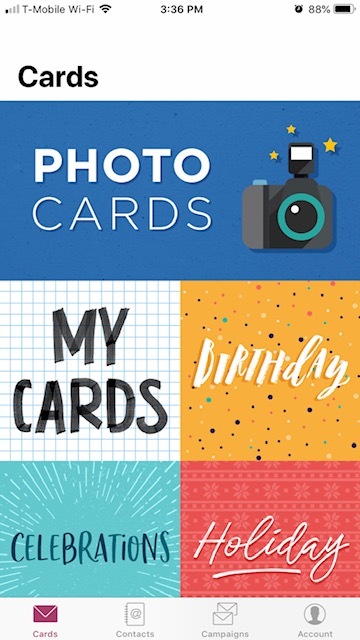 The SendOutCards app allows you to share the app through a directly coded link. This article will review the steps to share the link within the Apple iOS app. From the app home screen, click on the Account icon in the lower right corner of the screen. The account menu will be displayed. 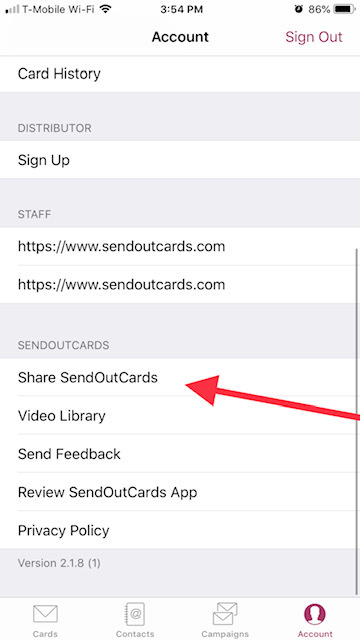 Scroll down on the list of options and select the Share SendOutCards option. The App sharing menu will be displayed. 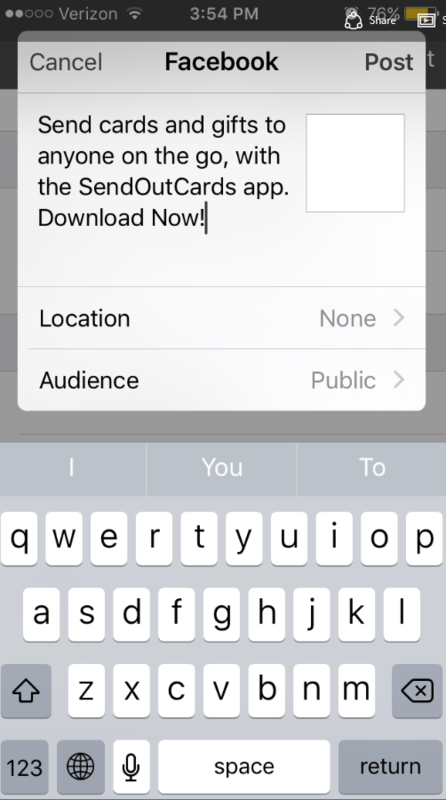 You will see the list of apps available to share the SendOutCards App with (A), as well as the option to copy the link to then paste it manually within another App (B). To continue sharing the app, you will click on the option you would like to share with. Examples of the most common sharing platforms will be shown below. 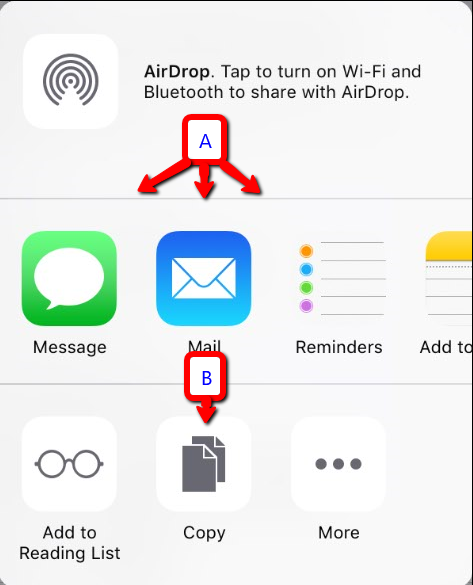 After selecting the Message icon, the devices text message system will create a new text message and insert the coded share link into the body of the message. 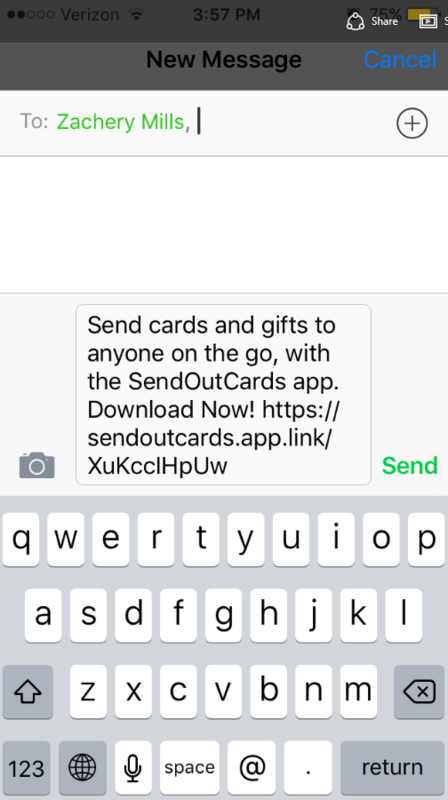 You can add the recipient and any additional message, then send the text message as normal. After selecting the Facebook icon, the Facebook app will open a sharing window. Your coded link will be added automatically to the post. The window will allow you to select the location and audience for the post to Facebook. After selecting the Mail icon, a new email will be opened in the email app. Your coded link will be added automatically to the body of the email. You will add the recipient information and any additional message, then send the email as normal.